The small minority of migrants who cannot document their identities or who pose verified – not perceived - security threats can be dealt with in a separate system, in a transparent manner. But what we are doing now isn’t working. Until recently, many people in Canada were not aware that the Canadian government incarcerates thousands of asylum-seekers and migrants each year. This is unsurprising: detention operates mostly out of the public eye. Immigration detention can mean an indefinite prison sentence for people who have not committed crimes. It wasn't until we started learning of the horrors of immigration detention in the U.S., where children were separated from their parents and detained, that we began really looking inward. The Canada Border Services Agency (CBSA) oversees a legal and physical architecture of jails, immigration holding centres and police cells. The CBSA says detention is used as a last resort, in situations where, for example, officers need to complete an examination, or have security concerns, or have grounds to believe the individual will not appear for an immigration proceeding. The problem is, detention is being used too often, too readily, and with dramatically harmful results. Parents who are ordered into detention are meant to decide whether their children should be "housed" with them or placed in foster care — an agonizing choice. Fathers are separated from mothers and kids, either through incarceration in different facilities, or through separate detention in the same facility. Compounding the harm is the fact that immigration detainees in Canada are subject to incarceration without official time limits. No one knows when they will be released, nor to where. This differs from the criminal justice system, where even convicted murderers know how long they will spend behind bars. CBSA statistics reveal that 439 people were incarcerated for more than 90 days during the 2016-17 fiscal year. But we don't know what happened to them — whether they were released or deported — which is another sign that accountability is lacking. There are no lawyers on-site, and there is no independent monitoring board or government watchdog to provide oversight and transparency for detention-related decisions. Though many Canadians have been in the dark about how our immigration detention system functions, people with precarious immigration status are highly aware of detention and its impacts. The majority of asylum seekers must routinely visit a CBSA office as they await word on their protection claim. Some are required to visit each or every other week, and the trip to the reporting centre can be hours-long and expensive. The threat of arrest and incarceration underwrites each visit, causing anxiety and fear. It also means potential harm to their children through separation or incarceration. Time and again, research confirms that immigration detention is unjustly punitive. Claiming asylum is a human right, enshrined in international, Canadian and U.S. law. Yet, detention functions to penalize border-crossers, causing lasting psycho-social impact as well as profound access to justice concerns. There are steps Canada can take to reduce these harms, starting with a fundamental rethink of the prevalence — and purpose — of the relatively recent phenomenon of immigration detention. U.S. urban centres have seen an outpouring of solidarity from concerned community members, and this past weekend hosted rallies against detention in cities across the continent. We should start with a watchdog to review systemic problems that plague border services. Ensure lawyers are present at every detention centre. Reallocate funds for expedited processing, and focus on creating shelter systems, rather than detention systems. Reduce the harm and anxiety of CBSA check-ins by allowing telephone or Skype check-ins, or through shelter-based monitoring programs, instead of remotely controlled ankle-shackles, which treat asylum-seekers like criminals. We must lobby to reduce, and eventually eliminate, the detention system as we know it. The small minority of migrants who cannot document their identities or who pose verified – not perceived — security threats can be dealt with in a separate system, in a transparent manner. 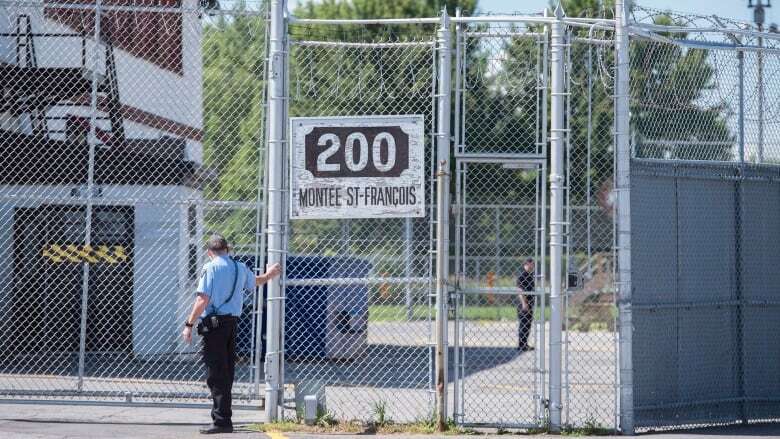 But what we are doing now isn't working: Canada needs to get out of the business of indefinitely incarcerating people who have not committed any crimes. Now that many more Canadians are aware of detention and its harms, the time is ripe to push for real change. Petra Molnar is a lawyer and researcher at the International Human Rights Program, University of Toronto Faculty of Law, and Dr. Stephanie J. Silverman is an adjunct professor, Trinity College, University of Toronto, on behalf of the Rights of Non-Status Women’s Network (RNSWN).